After reading “REDEMPTION” many have asked, where do I think their loved ones who have passed have gone. I simply tell them that God is the judge and will save whomsoever He will. No action or belief of those who are alive will change the destiny of those who are deceased. Our actions or beliefs will only affect us and maybe those we influence. “REDEMPTION” was written to educate the reader concerning the first statement to sinners by the12 Apostles concerning how to be saved. It was never meant to judge anyone who has passed but give opportunity to those who are alive. To obey “ACTS 2:38” just simply means that you have obeyed the first message for salvation that the Apostles gave us. Through education we can make better facts based decisions. Yes, God may save those who do not obey “ACTS 2:38” but the question is, “Why take the chance when the opportunity is easy and ETERNITY is at stake. From the time of the fall of man, he has searched for a plan that would restore him a relationship with God or simply bring about salvation from the fall. This fall created a void only God could fill. Some men try to find things in this world to fill the void, while wise men seek God, who is the One able to fill it. This writing is dedicated to those who truly seek God with an open Bible and a dedication to know the truth, the whole truth, and nothing but the truth so help us God. The first example we have in God’s Word of men seeking to restore a relationship with God, concerns two men, Cain and Abel. These were the first sons of Adam and Eve born on the earth after the fall of man. Let’s survey their attempt at atonement. As we study God’s Word we find that they were both sincere in their desire to please God and both had full confidence in their own sacrifice to God, without doubt as to the outcome. But, as we can clearly see in God’s Word, Cain was in sincere error. The lesson taught is, that no matter how sincere someone is, they must first obey God and His plan. GEN. 4: 3. AND IN PROCESS OF TIME IT CAME TO PASS, THAT CAIN BROUGHT OF THE FRUIT OF THE GROUND AN OFFERING UNTO THE LORD. 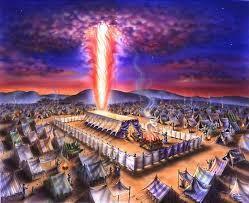 GEN 4:4 AND ABEL, HE ALSO BROUGHT OF THE FIRSTLINGS OF HIS FLOCK ANDTHE FAT THEREOF. AND THE LORD HAD RESPECT UNTO ABEL AND HIS OFFERING. GEN 4:5 BUT UNTO CAIN AND HIS OFFERING HE HAD NOT RESPECT. AND CAIN WAS VERY WORTH, AND HIS COUNTENANCE FELL. From that first offering until today men have made sincere errors in their attempt to please God. Cain tried to please God without the shedding of blood, but this was not God’s plan. This came as a great disappointment to Cain who sincerely gave his best. Errors are made when good intentions and our best replace God’s plan. The sad thing about this today is that if the error is not recognized, the souls of these sincere people will remain in jeopardy. Cain missed God’s will in that God required blood. LEV. 17:11 FOR THE LIFE OF THE FLESH IS IN THE BLOOD: AND I HAVE GIVEN IT TO YOU UPON THE ALTAR TO MAKE ATONEMENT FOR YOUR SOULS: FOR IT IS THE BLOOD THAT MAKETH AN ATONEMENT FOR THE SOUL. God did not turn his back on Cain when he made a mistake. 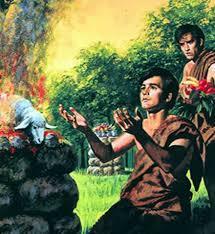 God communed with Cain and instructed him according to God’s plan. God even informed Cain of rulership over Abel if only he would obey. But bitterness, pride and jealousy ruled Cain. God does not turn his back if we make mistakes but counsels us and expects us to act on his revealed Word. GEN. 4:7 IF THOU DOEST WELL SHALL THOU NOT BE ACCEPTED? AND IF THOU DOEST NOT WELL SIN LIETH AT THE DOOR. The door to salvation was not found by Cain because he let bitterness, pride or jealousy hinder him from obeying the truth. In the name of religion many people have been led by men with sincere and good intentions, but as Cain, were in error. And as Cain, many times people have rebelled and even persecuted those who had the truth. Jesus was a prime example of this type of action by the Scribes and Pharisees. Cain slew Abel because of bitterness, jealously and pride. GEN. 4:8 AND CAIN TALKED WITH ABEL HIS BROTHER: AND IT CAME TO PASS, WHEN THEY WERE IN THE FIELD THAT CAIN ROSE UP AGAINST HIS BROTHER, AND SLEW HIM. 10. FOR PRECEPT MUST BE UPON PRECEPT, PRECEPT UPON PRECEPT; LINE UPON LINE, LINE UPON LINE; HERE A LITTLE, AND THERE A LITTLE. 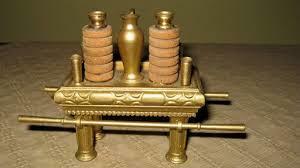 As time passed God called Abraham and his seed to be the chosen ones of God and the sole possessors of the covenants. These people, the Israelites, were God’s representatives before the death of Christ as the Church has been since the death of Christ. The Israelites were given a set of laws by God that they were to live by and a certain plan for atonement of sin. 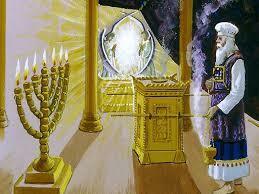 Moses, God’s man or prophet of the time received explicit instructions concerning a tabernacle while on the Mt. Sinai. 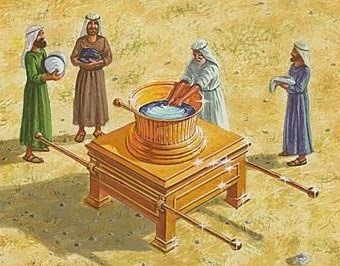 Moses was instructed to build exactly to specifications. 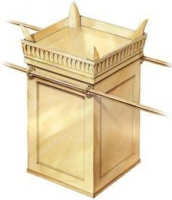 This tabernacle pattern was to be exact because it represented the exact plan of death, burial and resurrection not yet revealed for the atonement of mankind. HEB. 8:5 AS MOSES WAS ADMONISHED OF GOD WHEN HE WAS ABOUT TO MAKE THE TABERNACLE: FOR SEE, SAITH HE THAT THOU MAKE ALL THINGS ACCORDING TO THE PATTERN SHOWED TO THE IN THE MOUNT. 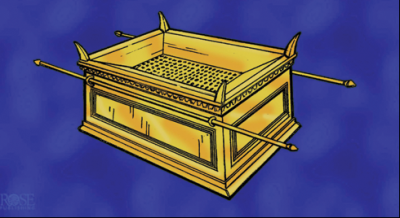 The layout and design of the Mosaic tabernacle offered a plan, if performed by the High Priest, would make atonement for the sins of the people and would push the sins ahead for one year. This was the atonement plan for the Israelites and it was to continue until Jesus Christ came and fulfilled the atonement process of death, burial and resurrection , that would actually be able to take away the sins of the world. Calvary’s atonement. Let’s address this briefly. 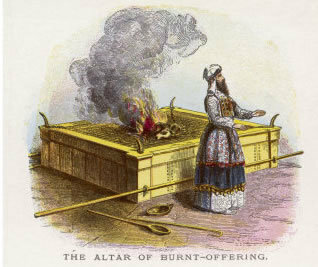 The first article is the Brazen Altar. This altar was a place of death and the shedding of blood for the atonement. The priest had to slay a spotless, guiltless animal upon the altar for the sins of the people. This altar actually represented the cross of Calvary and the animal represented Jesus and his shed blood for sins. This act also represented repentance of a sinner as a type of death. Unlike the priest in the tabernacle who had a substitute, Jesus became the victim on Calvary, both physically and spiritually. Also we as Christians have JESUS as a substitute as the tabernacle priest had a sacrificial lamb. Through repentance we must die physically and spiritually while we live. This is a unique type of death. HEB. 9:14 HOW MUCH MORE SHALL THE BLOOD OF CHRIST WHO THROUGH THE ETERNAL SPIRIT OFFERED HIMSELF WITHOUT SPOT TO GOD, PURGE YOUR CONSCIENCE FROM DEAD WORKS TO SERVE THE LIVING GOD. HEB. 9:28 SO CHRIST WAS ONCE OFFERED TO BEAR THE SINS OF MANY. ROM. 6:6 KNOWING THIS OUR OLD MAN IS CRUCIFIED WITH HIM, THAT THE BODY OF SIN MIGHT BE DESTROYED, THAT HENCEFORTH WE SHOULD NOT SERVE SIN. The second article is the Brazen Laver. 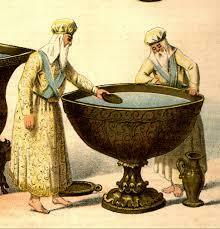 This was a place that the priest of the tabernacle must wash before doing the service of the tabernacle. A death sentence was placed upon the priest who did not wash here. The washing represented the burial of Christ and also our baptism in water. ROM. 6:3 KNOW YE NOT, THAT SO MANY OF US AS WERE BAPTIZED INTO JESUS CHRIST WERE BAPTIZED INTO HIS DEATH? 4. 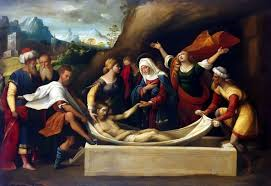 THEREFORE WE ARE BURIED WITH HIM BY BAPTISM INTO DEATH. 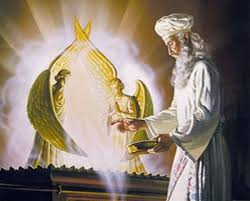 After this the high priest made preparation to approach the very presence of God which was the Mercy Seat that was upon the Ark of the Covenant in the Holy of Holies. 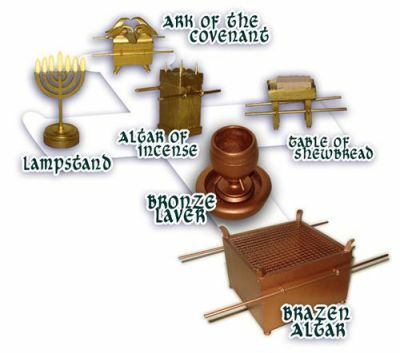 Seven Candlesticks, Table of Showbread, and the Alter of Incense. 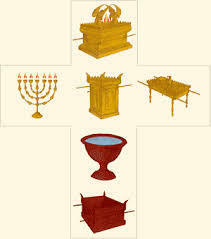 The Seven Candlesticks was the only light in the Holy place. This was symbolic of the light of God for direction. The Table of Shewbread was a table with twelve loaves of bread, which were, renewed daily for the priest to eat and get strength from. This represented God’s Word that gives us knowledge and strength. 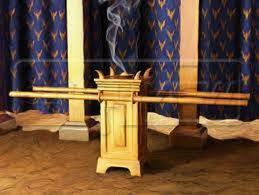 The Alter of Incense was a place where the priest burnt incense and send sweet odors up before God. This represented the praise of a repentant sinner. The priest ministered in the Holy place but the High Priest entered from there to the Holy of Holies once a year for his and the peoples sins. Notice, the blood had the power to atone sin, but was of none effect until the whole process or plan was fulfilled. If the priest had stopped at any point short of the Mercy Seat or had omitted any step, then the atonement would be null and void. The plan of death, burial and resurrection is spiritually seen in the Mosaic Tabernacle and by revelation the prophets spoke of the perfect atonement of Calvary to come. The plan of death, burial and resurrection stood before Jesus. He had to initiate every step for the atonement process to be valid. 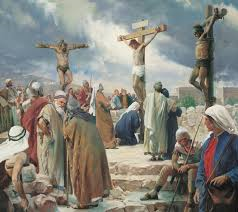 Jesus was crucified, buried and rose again the third day to purchase salvation and make it available to the human race. The question is still asked today, “What must we do to be saved?” This is the point at which so many people disagree. We hear many different answers from many different groups. This generally depends upon which denomination they are affiliated with. Some say,” be born again, believe on the Lord Jesus Christ, accept Jesus as your personal savior, your saved by grace, your predestinated” and the list goes on. Most all these answers are true to a point but there is a uniform and complete plan of salvation prescribed in the Word of God. Peter preached Jesus Christ to those people at Jerusalem on the Day of Pentecost over 2,000 years ago. Those people were strongly convinced that Jesus had been crucified, buried and resurrected to be the savior. Great conviction fell upon them and they began to cry for help. Note! They were convicted, not saved. ACTS 2:37 NOW WHEN THEY HEARD THIS THEY WERE PRICKED IN THEIR HEARTS, AND SAID UNTO PETER AND TO THE REST OF THE APOSTLES, MEN AND BRETHREN WHAT SHALL WE DO? The same familiar question arose then as it does today when the Spirit of God calls someone. Notice one thing. Peter and the rest of the apostles didn’t answer these people with the common quotes of the most prominent theologians of today. Many people come before ministers while under conviction just to be told that they have been saved or lead them in a prayer for salvation. This may give an individual a sense of security but beware. ACTS 2:37....THEY WERE PRICKED IN THEIR HEARTS, AND SAID UNTO PETER AND TO THE REST OF THE APOSTLES, MEN AND BRETHREN WHAT SHALL WE DO? They asked the apostles for a plan of salvation. The stakes are high, so shouldn’t we ask the apostles instead of those who offer their incomplete plans . ** If the apostles had thought these people were saved, by faith in the fact that Jesus was the Christ, they would have congratulated these people upon their salvation and praised God. All twelve apostles were there together and agreed that these people were not saved. ACTS 2: 38 THEN PETER SAID UNTO THEM, REPENT AND BE BAPTIZED EVERYONE OF YOU IN THE NAME OF JESUS CHRIST FOR THE REMISSION OF SINS, AND YE SHALL RECEIVE THE GIFT OF THE HOLY GHOST. This is the foundation of the apostles for salvation. Without this foundation, those who labor to build their house labor in vain. This is the bedrock that a Christian life is built upon. This is the initial entrance into the body of Christ, the Church. EPH. 2:20 AND ARE BUILT UPON THE FOUNDATION OF THE APOSTLES AND PROPHETS, JESUS CHRIST HIMSELF BEING THE CHIEF CORNER STONE. To establish that Acts 2:38 is our death ,burial, and resurrection plan for today we will break it down into steps. The first thing Peter told these people was to repent. * Repentance is the first step in the plan because it represents death. We according to God’s Word, kill, crucify, or shed an old man for a new man. Actually we are committing ourselves to a different Holy way of life, dependant on God. II COR. 5:17 THEREFORE IF ANY MAN BE IN CHRIST, HE IS A NEW CREATURE. OLD THINGS ARE PASSED AWAY, BEHOLD ALL THINGS ARE BECOME NEW. Death is our first step in a plan that the priest and Jesus also took in the plan for an atonement process. This point is hid from many groups. Repentance is an essential step toward salvation. The quotes I’ve mentioned before does not mention repentance and if someone does not mention it where does this leave a convicted sinner? Jesus proclaimed repentance essential. LUKE 13:3 I TELL YOU NAY: BUT EXCEPT YE REPENT, YE ALL SHALL LIKEWISE PERISH. * The second thing Peter said unto them was to be baptized in the name of Jesus Christ for the remission of sins. 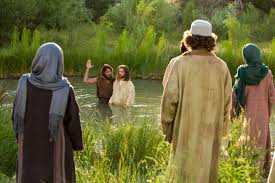 ** “When Peter enjoined remission of sins with water baptism he was using the Keys of the kingdom that Jesus had bestowed upon him.” He loosed sins through the obedience in water baptism. While water baptism is not stressed by most groups and is not preached as part of salvation, Peter use it, Paul used it, Philip used it and Jesus used it. All of Jesus’ ministers in the book of Acts used it. 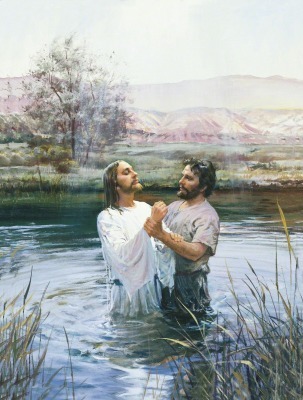 When Paul was baptized, water baptism was used in conjunction with washing away of sins. ACTS 22:6 AND NOW WHY TARRIEST THOU? ARISE AND BE BAPTIZED, AND WASH AWAY THY SINS, CALLING ON THE NAME OF THE LORD. Jesus even said it was necessary to complete righteousness and deemed it to be part of salvation. MATT. 3:15 AND JESUS ANSWERED AND SAID UNTO HIM (JOHN THE BAPTIST) SUFFER IT TO BE SO NOW: FOR THUS IT (BAPTISM) BECOMETH US TO FULFILL ALL RIGHTEOUSNESS. LUKE 16:16 HE THAT BELIEVETH AND IS BAPTIZED SHALL BE SAVED. Word of God STRESSES its essentiality. 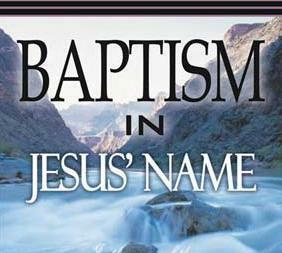 * Baptism is the second step in our salvation plan that represents our burial and washing. As the priest washed and Jesus was buried, we are buried and wash away our sins through obedience in water baptism. Remember death, burial, and resurrection. ROM. 6:3. KNOW YE NOT THAT SO MANY OF US WERE BAPTIZED INTO JESUS CHRIST WERE BAPTIZED IN HIS DEATH. * The third and final thing Peter told the people in reply to their question was that they would receive the Holy Ghost. This is God’s action of filling the believer with His Spirit for power and resurrection. This message sure is different from many of our television evangelist and most of our prominent figures of today. ROM. 8:9. BUT YE ARE NOT IN THE FLESH BUT IN THE SPIRIT, IF SO BE THAT THE SPIRIT OF GOD DWELL IN YOU. NOW IF ANY MAN HAVE NOT THE SPIRIT OF CHRIST, HE IS NONE OF HIS. ROM. 8:11. BUT IF THE SPIRIT OF HIM THAT RAISED UP JESUS FROM THE DEAD DWELL IN YOU, HE THAT RAISED UP CHRIST FROM THE DEAD SHALL ALSO QUICKEN YOUR MORTAL BODIES BY THE SPIRIT THAT DEWELLETH IN YOU. When we are filled with God’s Spirit or the Holy Ghost it releases us from death’s power. This is the third and final step in our death, burial, and resurrection plan. We find an unmistakable parallel through the ages that death, burial, and resurrection was and still is God’s salvation plan. God chose different ways to symbolize Calvary’s Atonement at different times but the plan was always the same whether before or after Calvary. Jesus at Calvary performed the prophesied event of death, burial, and resurrection. While he was upon earth, Jesus performed the act of Death, Burial and Resurrection twice . First symbolically for our example, then actually for our atonement. Now after Peter had preached Jesus to the people and they asked the question, “What shall we do?” Peter simply gave them the symbolical plan that Jesus demonstrated at John’s baptism. It was not possible for us to go to Calvary but it is possible and necessary for us to follow His example and plan. This plan made the available salvation effectual in humans. We have confirmation in THE WORD of God that repentance, baptism, and Holy Ghost filling saved around 3000 souls on the Day of Pentecost. ACTS 2:41 THEN THEY THAT GLADLY RECEIVED HIS WORD WERE BAPTIZED: AND THERE WERE ADDED UNTO THEM ABOUT THREE THOUSAND SOULS. What a testimony! This was the first salvation message that was preached by the power of the Holy Ghost after Jesus’ ascension. The Day of Pentecost was the day the church had received the power of the Holy Ghost for witness power and power to live the Christian life in this church dispensation..
ACTS 1:8 BUT YE SHALL RECEIVE POWER THAT THE HOLY GHOST IS COME UPON YOU : AND YE SHALL BE WITNESSES UNTO ME BOTH IN JERUSALEM, AND IN ALL JUDEA AND IN SAMARIA, AND UNTO THE UTTERMOST PART OF THE EARTH. Also this first salvation message must be the model in respect. Why? Simply because if the message Peter preached could be added unto then those 3,000 were not really saved. Also, if Peter had required too much of these people, then he would have been a false prophet. But, this was not the case. Peter with the approval of the other 11 apostles and Holy Ghost direction gave the death, burial, and resurrection plan of repentance, baptism in the name of Jesus Christ for the remission of sins and Holy Ghost infilling and the word of God proves unquestionably that 3,000 souls were added unto the church by obedience to Peter’s declaration. We as believers in general have been yoked with Belief Systems. Belief System is a state of mind that instructs us to believe something whether true or not because establishment said so. Belief systems have been the biggest yoke or obstacle in the path of believers since the reformation began. If the belief in something is strong enough, no amount of evidence or proof of its falsity can convince the believer. 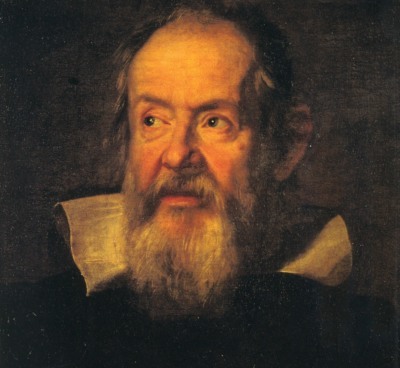 About four hundred years ago Galileo was imprisoned for declaring that the earth orbited the sun. 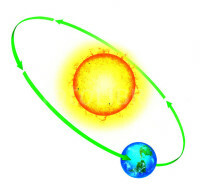 Why anyone could see that the sun rose in the east and sat in the west on its way around the earth. Right? Wrong! The Catholic Church not long ago admitted on record that he was right. We can see how traditions die hard after a belief system is established. How will your belief system handle the proof of the death, burial and resurrection plan found in Acts 2:38? Now we must contend with the various groups that declare other salvation plans. “Acts 2:38 does not contradict their statements but fulfills them totally.” If you believe that Acts 2:38 is our salvation plan then you must believe on the Lord Jesus Christ, accept Jesus as your personal savior and by grace do we have this salvation plan.By grace through faith are we saved through the operation of death, burial and resurrection found in Acts 2:38. God also foreknew those who would obey this and predestined them to conform to the image of his dear son. Also as Jesus said in Jn.3:5 we are born of the water and the Spirit. Now you can do all these other things that men say and it may feel right. Maybe it even appeals to the multitudes but unless you add repentance, Jesus Name baptism for the remission of sins and receiving the Holy Ghost, then you have not used the plan that all the apostles throughout the Book of Acts used. Don’t take the plight of Cain. Be sure you have obeyed God’s plan. Let no man deceive you. I do not pretend to question anyones’ personal experience with God nor his or her sincerity. But, an experience and sincerity does not constitute salvation. Obedience to God’s Word does. 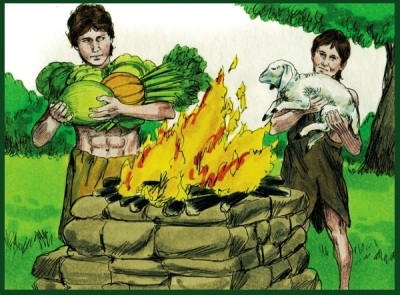 In the tenth chapter of Acts, we find a man named Cornelius. Because of his fear of God and care for the poor, God gave him an astounding experience. God appeared to him and told him to send for Peter who would tell him how to be saved. He was a repentant man so when Peter began to preach Jesus to all that were there the Holy Ghost came on them. Then Peter COMMANDED them to be baptized in the name of the Lord. Throughout the Book of Acts we find that everyone who preached salvation, preached repentance,baptism in the name of Jesus and receiving the Holy Ghost. It is a travesty for anyone to think that God has given them or anyone else more revelation or a different salvation plan other than the one that the apostles used. Cornelius didn’t let an experience or answered prayer cloud his mind, but did as God had ordered. Many people would believe that Cornelius was saved when he received the Holy Ghost but Peter COMMANDED BAPTISM in the name of the Lord Jesus. Many people will say that Acts 2:38 is legalism and denies the power of the blood for atonement. This is not the case at all. 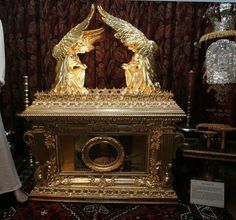 If the tabernacle priest had stopped short of the mercy seat, then that blood would have been ineffective. If Jesus had died on Calvary, been buried and stayed in the grave, his blood would be useless. 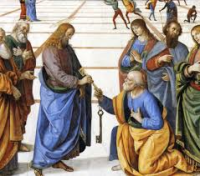 Acts 2:38 is a plan that was delivered to fallen man by Peter, who had the privilege of having the keys to the Kingdom of Heaven. His instruction to those sinners that day should not and cannot be disregarded as simply coincidental. His message was salted with death, burial, and resurrection and the perfect example that Jesus gave at John’s baptism. This message not only informed us how to approach God in repentance, but how to get the blood applied in a watery grave of baptism in the name of Jesus Christ. Then God PROMISED to fill us with the Holy Ghost for not only resurrection, but adoption also. From that day forward in the Book of Acts all the preachers used this same message without fail. Paul fanatically defended this message by proclaiming a curse on anyone or an angel if they deliver something different than the apostles and that included the first message preached by Peter, the apostle. Gal. 1:8-9. Understanding what the death, burial and life of Christ really means is the point that makes the whole plan legitimate. Notice! “Being now justified.” How? .... By your work or required obedience to God’s laws? No! By the blood of Christ! If you have repented and been baptized, you are already now justified. The term justified is often misunderstood. Justification is a reference to a guilty past and does not refer to the future. It means the gift of acquittal of past guilt. It means the penalty of past sins has been paid in full by Christ for you. Rom. 3:25. Notice this! You are already justified by the blood of Christ. The past is squared up, the penalty paid and contact with God made. But are you already saved? It says we SHALL be saved. Not that we are already saved. Notice verse ten. ROM. 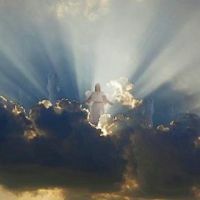 5:10 FOR IF WHEN WE WERE ENEMIES, WE WERE RECONCILED TO GOD BY THE DEATH OF HIS SON, MUCH MORE, BEING RECONCILED WE SHALL BE SAVED BY HIS LIFE. What was accomplished by Christ’s death? It justified us of past sins and reconciled us to God. Did this save us? No! Not by itself. After Christ was dead and buried, he arose the third day. Then how shall we be saved? We are eternally saved by his resurrection. Read it, we shall be saved by his life. By a living savior. ICor.15:14-23. ACTS 16:29-31 THEN HE CALLED FOR A LIGHT AND SPRANG IN, AND CAME TREMBLING, AND FELL DOWN BEFORE PAUL AND SILAS. 30. AND BROUGHT THEM OUT, AND SAID, SIRS, WHAT MUST I DO TO BE SAVED? 31. AND THEY SAID BELIEVE ON THE LORD JESUS CHRIST, AND THOU SHALT BE SAVED AND THY HOUSE. Even if you were to stop at verse 31, it wouldn’t change the fact that repentance, baptism and Holy Ghost infilling was the plan of salvation. The simplicity of the gospel didn’t mean that we had many salvation plans and all we must do is pick and choose. We do not have the luxury of choosing a statement and calling it a salvation plan when it by itself would cancel previous ordained statements that actually brought salvation to sinners. ACTS 16:32-33 AND THEY SPAKE UNTO HIM THE WORD OF THE LORD, AND TO ALL THAT WERE IN THE HOUSE. 33. AND HE TOOK THEM THE SAME HOUR OF THE NIGHT, AND WASHED THEIR STRIPES, AND WAS BAPTIZED, HE AND ALL HIS, STRAIGHTWAY. Uniform is the message throughout the Book of Acts with the same message being preached at every conversion. The complete conversation may not be recorded, but it did not have to be at every conversion. It was set on the Day of Pentecost and all the apostles preached a uniform message. The Book of Acts is the only book in the Bible that anyone will find salvation preached to a sinner in the church dispensation. One book with no closing chapter. The verbatim preaching of salvation to a sinner is found nowhere else, PERIOD. The four gospels are the record of the life of Jesus and his ministry under the law until his death,burial and resurrection. He committed the preaching of salvation to the apostles after they received the Holy Ghost. Romans thru Revelations is addressed to those already saved and they already knew who and what message saved them. Many times in the letters to the churches they were reminded to hold on to what the apostles taught. I TIM. 4:16 TAKE HEED UNTO THYSELF AND UNTO THE DOCTRINE: CONTINUE IN THEM: FOR IN DOING THIS, THOU SHALT BOTH SAVE THYSELF, AND THEM THAT HEAR THEE. JUDE 3 BELOVED, WHEN I GAVE ALL DILIGENCE TO WRITE UNTO YOU OF THE COMMON SALVATION, IT WAS NEEDFUL FOR ME TO WRITE UNTO YOU, AND EXHORT YOU THAT YOU SHOULD EARNESTLY CONTEND FOR THE FAITH WHICH WAS ONCE DELIVERED UNTO THE SAINTS. There is a curse if we preach any thing other than what the apostles preached. Also we set ourselves in harms way and those that hear us if we do not continue in this doctrine. In the time of Jude there were those who would deviate from the common salvation and faith once delivered to the saints. Today more than ever we must contend for that common salvation and faith. Pastors, evangelist and laymen, you are responsible and chargeable to God. You must deliver souls with truth and sound doctrine. You must be sure you give sinners the correct plan of salvation or their blood will be on your hands. Satan would like to hide the whole truth in a partial truth. This was his tactic in the Garden of Eden and he uses it today to blind souls from the truth in a partial truth. Dear friend, have faith in Jesus Christ, as your savior. Then repent of your sins and find someone who will baptize you in the name of Jesus Christ for the remission of those sins. You will have done your part. Then it is God’s turn to fill you with the Holy Ghost that he has promised to those who obey. You will have done what it takes to be saved and have power to receive and continue in the rest of God’s Word. Remember, about 3,000 souls were saved by the message of Acts 2:38 and everyone after that through the Book of Acts. Also, it is a continuing book because it has no closing chapter. We are living it today and until Jesus returns. Why not believe a total plan of death, burial and resurrection, instead of some alternate or incomplete plan. There is no record of any soul being saved by any other message after the Day of Pentecost. Think about it. Trust Acts 2:38 which we know saved souls or trust an alternate message which has no record in God’s Word that souls were saved by it alone. If God’s Word does not confirm it then it is false faith to believe it. ROM. 10:17 THEN FAITH COMETH BY HEARING AND HEARING BY THE WORD OF GOD. Many ministers instruct their congregations to avoid disputing the Word of God. The Bible says to prove all things. I Thess.5:21. If a doctrine is sound then there should be no fear of debate. Paul employed debate to settle questions of doctrine. ACTS 17:11&17:17 THESE WERE MORE NOBLE THAN THOSE OF THESSALONICA IN THAT THEY RECEIVED THE WORD WITH ALL READINESS OF MIND, AND SEARCHED THE SCRIPTURES DAILY, WHEATHER THOSE THINGS WERE SO. 17. THEREFORE DISPUTED HE (PAUL) IN THE SYNAGOGUE WITH THE JEWS, AND WITH DEVOUT PERSONS, AND IN THE MARKET DAILY WITH THEM THAT MET WITH HIM. Noble people receive the word by searching the scriptures to see if something is true. In the company of those who agree with us we find comfort, but in the company of those who disagree we grow. ISA. 1:18-19 COME LET US REASON TOGETHER, SAITH THE LORD: THOUGH YOUR SINS BE AS SCARLET, THEY SHALL BE WHITE AS SNOW; THOUGH THEY BE RED LIKE CRIMSON, THEY SHALL BE AS WOOL. 19. IF YE BE WILLING AND OBEDIENT, YE SHALL EAT THE GOOD OF THE LAND. Do not let Satan rob you. 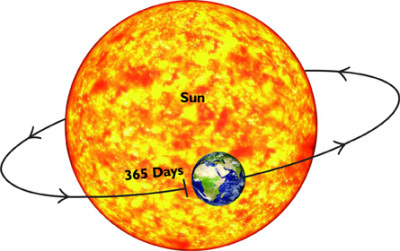 Do not believe a half truth. Prove all things by the Word of God. The blood will never lose its power. Make sure you have it applied scripturally. ACTS 20:26-27 WHEREFORE I TAKE YOU TO RECORD THIS DAY THAT I AM PURE FROM THE BLOOD OF ALL MEN. 27. FOR I HAVE NOT SHUNNED TO DECLARE UNTO YOU ALL THE COUNSEL OF GOD.